Could Your Kid’s College Texting Habit Cost You $28,000? Quick. Picture your son sitting in a college class. Let me guess what you just imagined. You pictured him absorbed in his college lecture. You pictured him paying close attention to every word the professor is saying. You pictured him diligently filling page after page with carefully organized notes. You may have just imagined wrong. The typical college student squanders one-fifth of his class time doing this. Texting. Emailing. Checking Facebook. Surfing the web. Playing games on a phone, tablet, or laptop. About 75% of students polled admitted to emailing or checking the time on their phones. 70% reported scrolling through Facebook and other social media during the time they were supposed to be learning. Nearly half surfed the web during class, and one in 10 spent class time playing games. What’s the cost to parents? Let’s do the math. Let’s say your son attends a private university that charges $5,880 for a 3-credit course. If your son texts, emails, checks social media, surfs the web, or plays games during just one-fifth of his class time, which is a lowball estimate, that diversion will end up costing your family $1,176 for each class he takes. If your son takes 18 credits per term during every term other than his first one on campus — as I advise students to do in order to graduate faster — this seemingly innocuous habit will cost your family $7,056 per term. $28,000 or more over the course of an entire four-year college career. Not to mention the cost to your son when that knowledge base isn’t available to him when he tries to enter the workforce later. It’s no wonder today’s college students are having trouble getting real jobs after college. I have a magical way to solve this problem. The students who follow me review these notes during the weeks that follow according to a special fast system that I teach them. Students catch on to this idea quickly. It makes sense. If they can do the bulk of their learning right there in the college classroom, they won’t have to spend nearly as much time staying up late cramming for exams later. Parents, your kids aren’t likely to listen to your views on texting during class. But they will listen to me. I teach a 3-hour class for students entitled THE STRATEGIC COLLEGE STUDENT: How to Get Higher Grades Than Anyone Else While Studying Less Than Most Other People. You can see parents and students raving about this class by clicking here. The class is available both live and online on two different dates each year; sign up for my free Monday morning email updates on this website and you’ll find out when I’m next teaching this class. Give your middle schooler a giant head start on college success. In pages 39 -41 of my book, I make a strong argument that middle schoolers should take a professional college study skills class while they’re still in 7th or 8th grade — at a time when their brains are growing faster than at any time since infancy. THE STRATEGIC COLLEGE STUDENT, only 3 hours in length, fills that need perfectly. The class is also ideal for high school students about to start dual enrollment classes, for current college students, and for grad students. 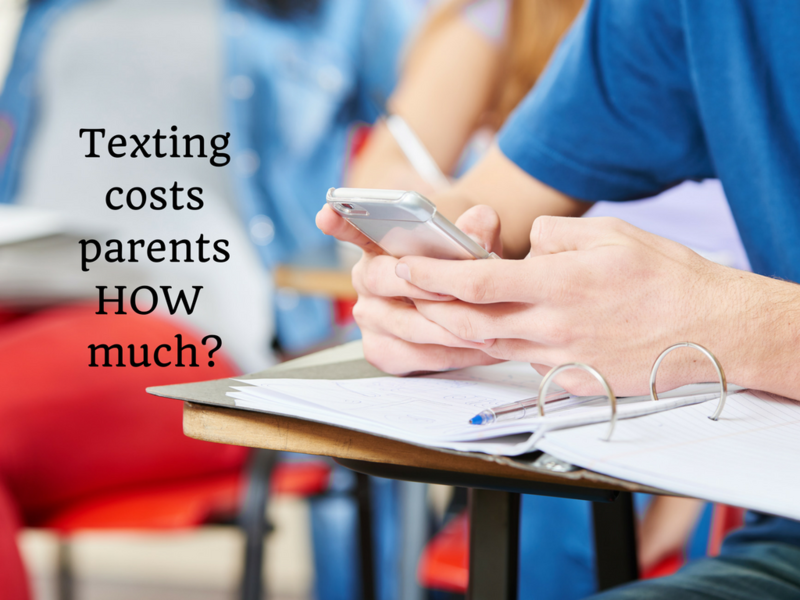 Great way to keep your #college kid’s #texting from costing you $28,000. Thanks @JBurlowski! Academic success in college is just one factor in getting a real job after college. You can see the “Top 9 Questions Parents Are Asking Me About LAUNCH,” here. 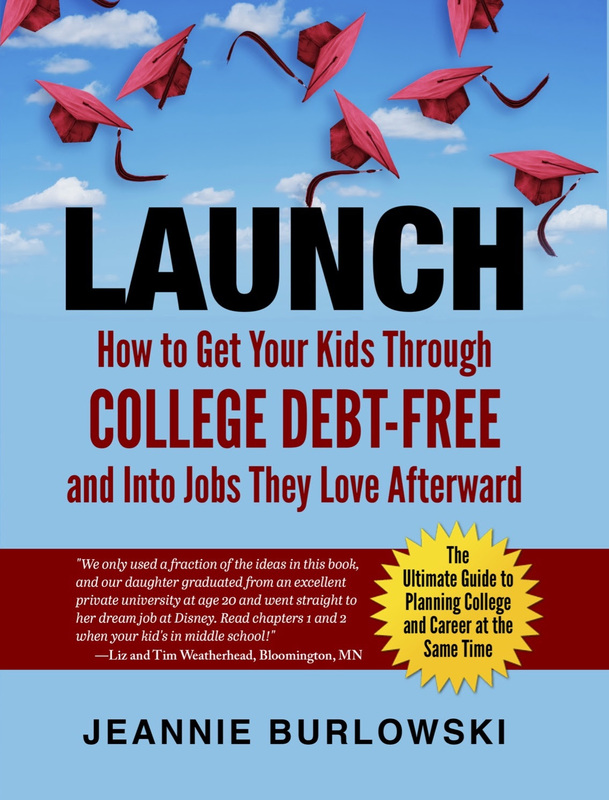 Read just one chapter of LAUNCH every 1-3 months while your child’s in middle school and high school, and you’ll know every viable strategy for debt-free college at exactly the right time to implement it. And if your child’s already well past middle school? That’s OK; you can run to catch up. But the process of getting your kids through college debt-free goes more smoothly the earlier you start it – especially if you’re not planning to save up any money to pay for college. Do you have friends who are parenting kids ages 12 – 22? SHARE this post on Facebook, Twitter, and Linkedin right now. What about you? What are your thoughts about students and digital distraction during class? Comment below or LIKE Jeannie Burlowski Author on Facebook, find this post on that page, and let’s talk about it there. Jeannie is a full-time academic strategist, author, speaker, and podcast host. Her writing, speaking, and podcasting help parents set their kids up to graduate college debt-free and move directly into careers they excel at and love. Her work has been featured in publications such as The Huffington Post, USA Today, NerdWallet, and US News and World Report.